Sylvia has been selling real estate in the Charlotte area for over thirty years. Over that time, she has seen Charlotte change from a small city to the world class city that it is today. She has helped thousands of people buy or sell a home. For many years she owned and operated her own real estate company. Realizing that her first love was bringing buyers and sellers together, in 2003, she sold her company and became an agent for RE/MAX Executive. 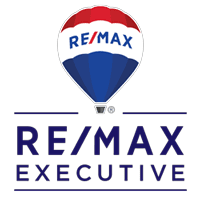 In the past fourteen years she has consistently been a top seller at RE/MAX and has won numerous awards for her excellence in the field. She was won Platinum, Chairman, and Titan awards for sales volume, placing her as one of the top agents in one of the largest real estate brokerages in the area. She entered the RE/MAX Hall of Fame in the first year she was eligible for the honor. She has won the Five Star Professional Award as “Best in Client Satisfaction” for the last five consecutive years. She knows the market. She knows the business. She knows how to put people first. That is the key to her phenomenal success over three decades of service. One sign of a great agent is the amount of clients who come back year after year. Sylvia has a huge client base – folks who come back time and time again – folks who send their family and their friends. That is because Sylvia sees every single client as family, one of her own. She is by their side every step of the way. She smooths over the difficulties and the complications that can occur in every real estate transaction. Her clients know what she can do for them. They recognize her unsurpassed dedication and they appreciate it. Many of her best friends today came to know her first as clients. Sylvia is married to a local attorney and has three children and six grandchildren. She has been active in many civic organizations, and she enjoys gardening, traveling, and entertaining her family and friends. She is a true people person who can put her commitment and skill to work for you. She has what it takes to sell your home or find the home of your dreams. Give her a call and let her go to work for you.